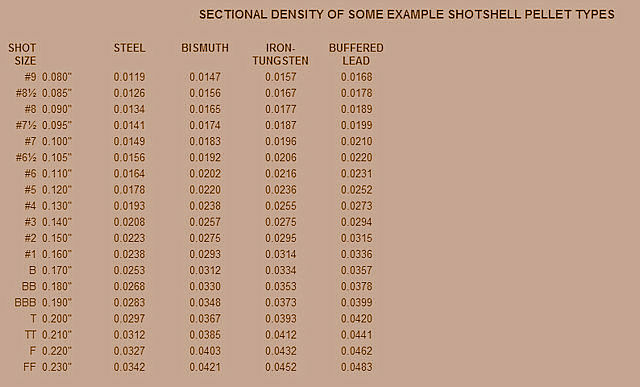 As Edward Lowry noted long ago, a shotshell pellet's ballistic coefficient is a comparative measure of its ability to overcome the force of air resistance. It is numerically equal to the pellet's sectional density divided by a so called form factor, which is an index of pellet shape. The pellet's sectional density is equal to its weight (in lbs.) divided by the the square of its diameter (in inches). The form factor for a truly spherical pellet is equal to one (1.0). Hence, for an undeformed, spherical pellet, the ballistic coefficient is simply equal to its sectional density. Now, let's take a look at point of impact and residual velocities from zero to sixty yards. First, from Lowry's "Shotshell Ballistics for Windows." 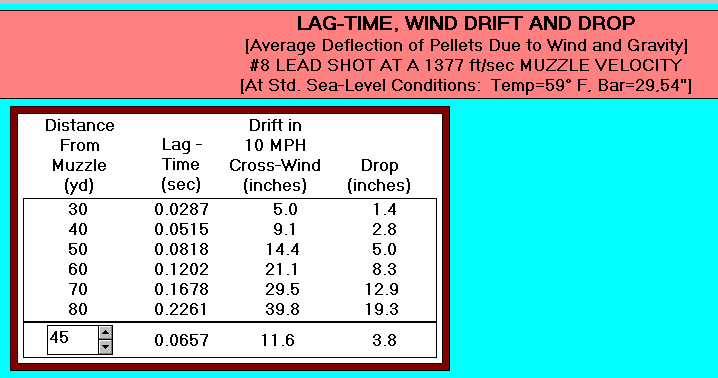 Now, a look at #7-1/2 lead pellet 1200 fps muzzle velocity exterior ballistics, with a 10 mph crosswind. For those concerned about point of impact, you can see that there isn't much to obsess about. If your point of impact is 0.02 inches high at 25 yards, it is right on at 40 yards. 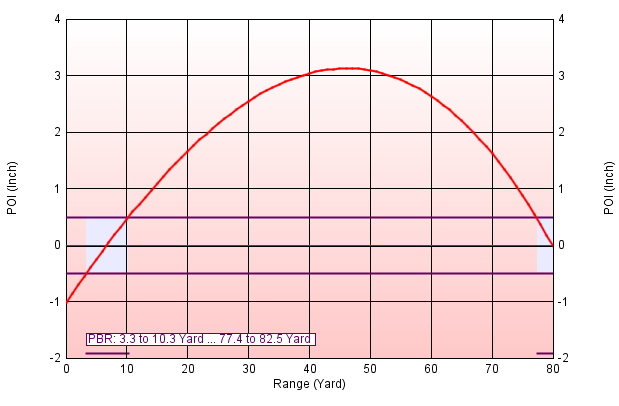 25 yards is an ideal range to check point of impact with a shotgun, for the difference at 40 yards is neglible. Wind drift at longer ranges with shot is another matter. With light and variable crosswind, it can quickly send anyone into therapy. Now, the results with #5 lead, 1200 fps muzzle velocity, still a 10 mph crosswind. 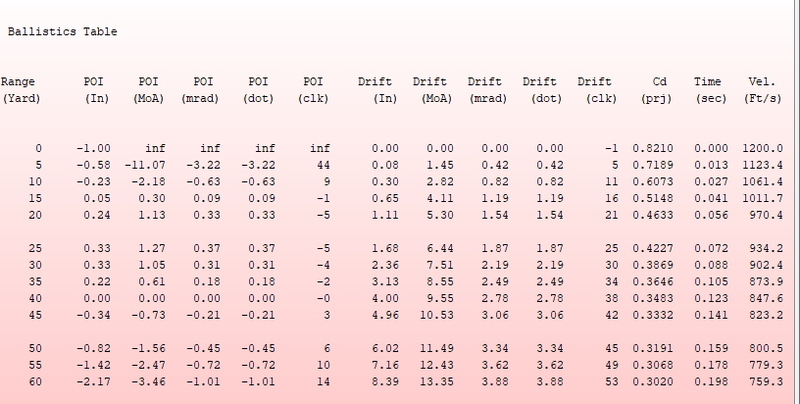 As the ranges increase, there are higher strike velocities with #5 lead and less wind drift as well. Still, there is no radical difference in point of impact at 25 yards. It is .02 inches high with #7-1/2 lead at 25 yards, with #5 lead it is .04 inches low at 25 yards. The difference between the loads at 25 yards is .060 inch, just under 1/16th of an inch. You'll note that the above graphs depect a sight height of 2 inches, a high rib. Here are the ballistics with a sight height of 1.00 inch. Still, the point of impact hardly radically changes prior to the 40 yard zero. At 25 yards, it is now about 1/3 of an inch high. Above is lead #5, 1330 fps, with a one inch sight height, and a "60/40" 40 yard point of impact. A 60/40 is 3 inches high at 40 yards. Unlike 50/50 or flat shooting set-ups, the pellets are steeply on their way up at 10, 20, and 30 yards. In this example, a "60/40" with this load actually means an 80 yard zero.